I have no idea what this might be. 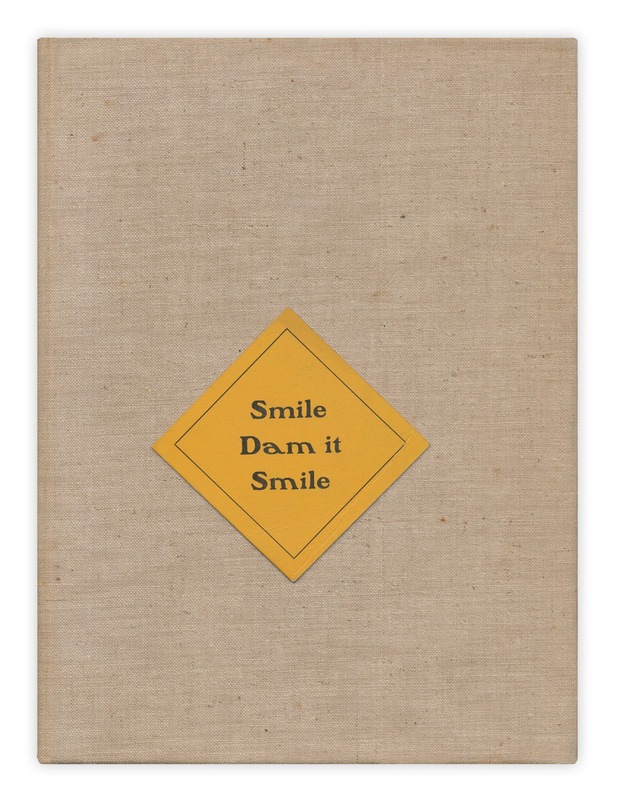 Small (2 inches by 2 inches) thick paper card that reads "Smile Dam it Smile." Found in "Masters of Popular Painting" published by the Museum of Modern Art, 1938. That looks like a card that certain alcohol-friendly businesses in the south would hand out or hang in their display windows toward the end of Prohibition, when everyone was hoping it would be repealed. I've seen one larger with the same wording and spelling in a Georgia antique shop. It could be a play on words for dental dam, a card that came with some sheets. During the late '80s, to help stop HIV exposure and disease acquisition rate, dental dam was promoted as a barrier for use during oral...stuff. I'm sure those that gave free condoms and dental dam likely tried to find ways to make it more "fun."